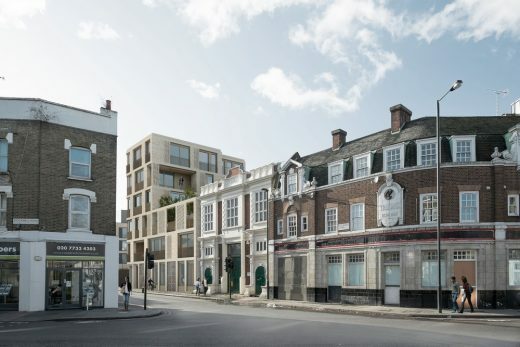 Architects pH+ and Walbury Estates Ltd. have received planning permission for 24 new homes in Stockwell Green situated in a dense urban site sandwiched between student housing and a grade II listed community resource centre. 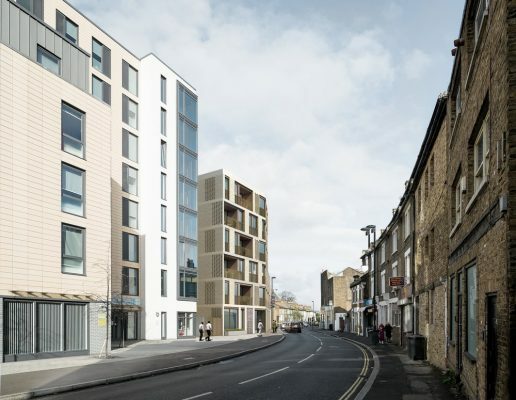 Located within a conservation area, 2-7 Stockwell Green compliments the immediate site and the local area through the use of three blocks that step up incrementally from the adjacent Hudson House to address the taller Glassyard building. 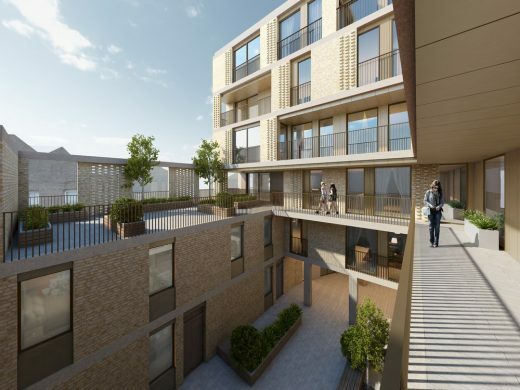 Three communal terraces at different moments throughout the scheme provide welcoming spaces for residents to enjoy together. 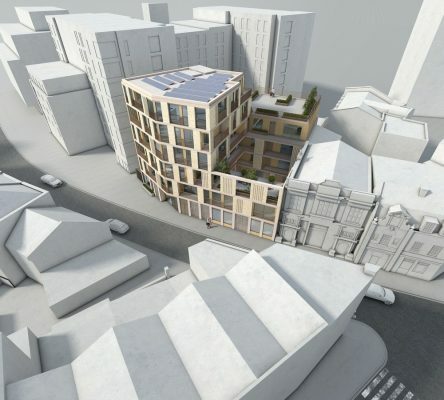 At the centre of the project a courtyard backs onto 129sqm of retail space, which replaces the retail warehouse currently on site creating an important new active frontage on the streetscape to positively impact the surrounding area. Johan Brunnberg Walbury Estates Ltd., said: pH+ have delivered a high quality and innovative scheme taking into account the surrounding area, buildings and local resident’s needs. 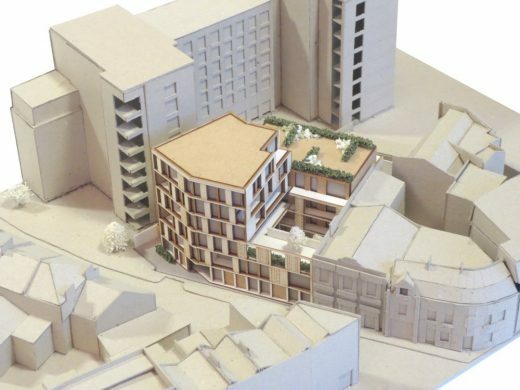 Walbury Estates have worked closely with the pH+ team from conceptual design to full planning being granted. This is Walburys second scheme in Stockwell and having pH+ onboard has created an exceptionally well designed addition to the Stockwell Green area. Stockwell is a district in inner south west London, located in the London Borough of Lambeth.